Also, Should You Pay for a Ransomware Attack? 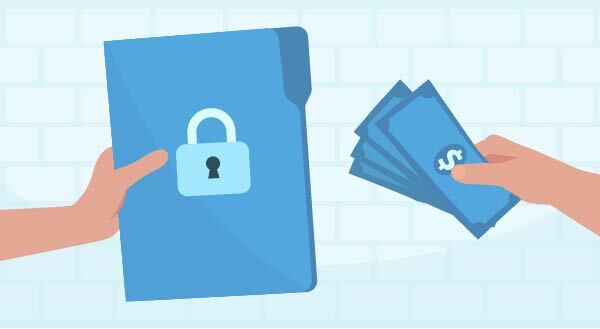 Getting hit with a ransomware attack is never fun, your files get encrypted by cybercriminals and you’re left having to decide: should we pay to get them back? It’s a scene that’s played out across the world with 70% of businesses saying ‘yes’ in 2016 alone. Here’s what you should consider if you’re ever in this situation. 1. Do you trust them? Besides the fact that they’re criminals holding your data hostage, how confident are you that they’ll send the decryption key? Most attackers demand you send the payment via untraceable Bitcoin, so you have no recourse if they take it and run. You’re also equally trapped if they decide they asked too little and come back with increasingly higher demands. If they do send the decryption key, be aware they still have access to your systems and can hit you again at any time until your network is disinfected by experts. Businesses don’t exactly want their breach publicized either, so many don’t admit to paying the ransom, whether it went to plan or otherwise. 2. Can you manage the impact? Best case scenario, you can wipe the affected drives and restore from a clean backup without paying the ransom. You might even decide the encrypted files aren’t that important and simply let them go, or even wipe a whole laptop or workstation. On the other hand, if your data management comes under any special regulations, like health or legal, you may find the attack has a much wider, more intense impact. The attacker will usually give you a countdown to motivate a payment, with a threat of deletion when it hits zero. If the data isn’t that valuable, or you have confirmed backups, this urgency has no effect. There are also new types of ransomware like KillDisk which can permanently wipe your entire hard drive or even network. 3. How much do they want? 4. Are your backups good? Ransomware is showing no signs of slowing down. As more businesses keep them funded the cybercriminals are steadily launching new attacks and making it their full-time job. Most attacks come via phishing emails – those emails that trick employees into clicking a link – and they can be extremely convincing. While training helps people spot them, it’s no guarantee. We recommend using business-class spam filters to catch these types of emails before they land in your employee inboxes so that triggering a ransomware attack becomes something that happens to other businesses, not yours. Is Apple Losing It’s Innovation Chops?